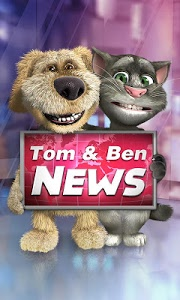 Breaking news - Talking Tom and Talking Ben are even chattier and more entertaining as TV news anchors! 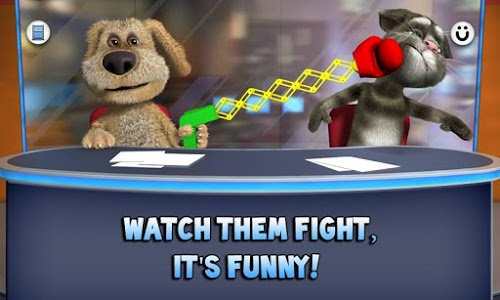 Join them in their TV studio, talk to them and watch them take it in turns to repeat what you say. Poke or swipe the screen and have them fall off their chairs! 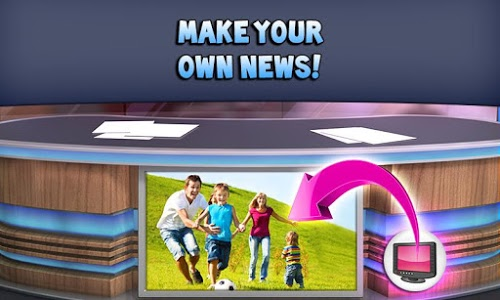 You can even create the news by placing your own video or photo on their TV screen! 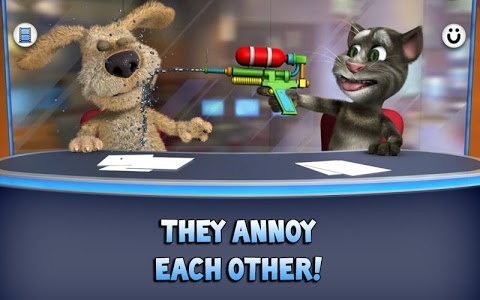 You can express your creativity by creating the news or just enjoy watching the two tease each other. Either way, you'll have a bundle of fun! 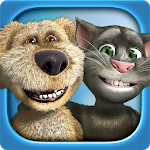 Check out all hilarious animations by getting the full app now! 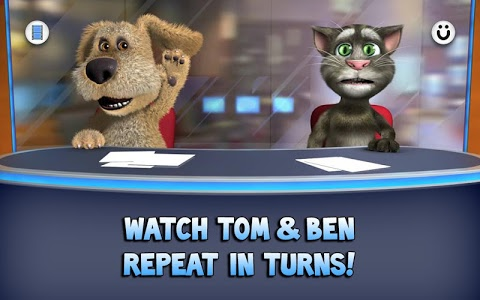 - Talk to Tom and Ben: See them take turns to repeat what you say. 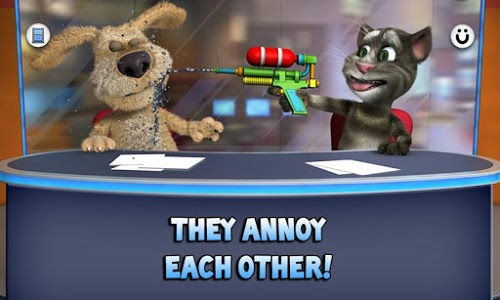 - Watch them interact with one another: They tease each other in a hilarious way! 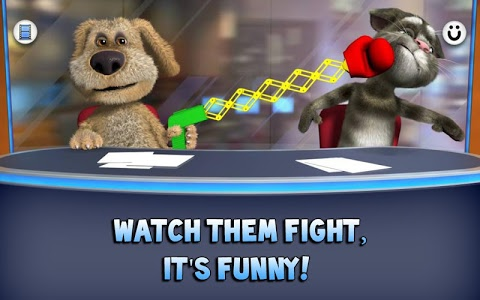 - Co-create the news: Upload your own video or photo and see what happens. 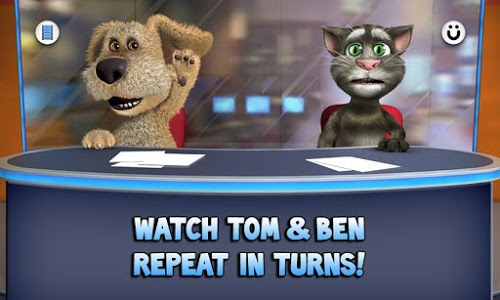 - Send videos to your friends: Record your own news story and share it on Facebook, YouTube or email! IMPORTANT - To remove all ads within the app you will need to make an in-app purchase. 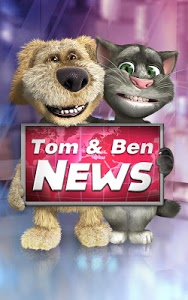 Similar to "Talking Tom & Ben News"